The Pennsylvania Public Utility Commission is encouraging consumers to shop for electricity on Black Friday. A quick glance at the PUC's website suggests Peco Energy customers could save an eye-popping 44 percent on their bills. Buyer beware: Not all prices are as low as they seem. Papowerswitch.com, the PUC's marketplace for electricity shopping, lists about 140 offers for Peco Energy customers, some of which will save customers compared with the utility's current price. But some offers that appear to be very competitive may not be. Seven suppliers tack on additional fees that require alert customers to compute their own true comparisons for household use. The PUC requires suppliers to disclose additional fees on the government website. But three Peco suppliers, while noting they charged monthly fees, did not disclose the amount of those fees. Visits to several supplier websites failed to reveal the details, requiring a customer to either call the supplier or to submit an online form providing the customer's contact information. Complicating matters, the PUC's online tool did not include the monthly fee for several suppliers in its calculation of the estimated monthly cost of their offers. As a result, the deals offered by some suppliers that charged monthly fees appeared to cost less than they actually do. The PUC corrected the problems this week, after the Inquirer pointed out the flaw. "There was a little glitch on the back end of our site on how some offers were displayed," said Nils Hagen-Frederiksen, the commission's spokesman. Programmers fixed the glitch Tuesday, and estimated costs now include the monthly fees, which range from $3.95 to $9.95. As for that 44 percent savings? By far the best price posted for Peco customers is from Public Power LLC, a Connecticut company whose website acknowledges that it's neither a public utility nor affiliated with "any government owned not-for-profit utility." It is owned by Crius Energy LLC, which owns several other suppliers. One supplier charges a $145 enrollment fee, which is not included in the PUC’s calculation of the estimated cost of its product. Public Power does not charge a monthly fee, but it is unique among suppliers in that it charges a $145 "enrollment fee." Because that upfront payment is not a monthly fee, the PUC does not include it when it estimates the cost of the deal compared to others. The $145 fee buys a discount rate fixed for only three months. The supplier will make a new offer to the customer at the end of that term. When customers do not take action, suppliers typically switch them to variable-rate deals. "There is no limit on how much your variable rate may change from one billing cycle to the next," Public Power discloses in the terms of its offer. Realistically, a customer would need to recover $145 in savings in three months to justify the enrollment fee. For a typical residential customer using 700 kWh, the fee would add 6.9 cents per kilowatt hour to the 3.99 cents per kWh that Public Power charges for the electricity. That means a typical residential customer would pay the equivalent of 10.89 cents per kWh. That's 53 percent more than Peco's price, not 44 percent less. In response to the Inquirer's questions, the PUC on Wednesday added a fine-print disclaimer to the web page promoting the purported 44 percent savings, saying: "These savings do not include any additional enrollment fees." "We're constantly evaluating how to best display the data so consumers can digest it." said Hagen-Frederiksen. The Pennsylvania Office of Consumer Advocate also posts some supplier prices on its website (www.oca.state.pa.us) and will mail the list to customers who don’t care to shop online (call toll-free, 1-800-684-6560). “We try to educate consumers to ask suppliers about all fees,” said Tanya J. McCloskey, acting consumer advocate. The PUC also posts a list of suggested questions for customers to ask suppliers. Evaluating electricity offers gets more complicated when a customer factors in other premiums, such as free thermostats or loyalty rewards, or if the rate varies according to the time of day. About 2 million Pennsylvania customers, or 36 percent, buy their electricity from competitive suppliers, according to the PUC, including 541,000 Peco customers and 641,000 PPL Electric customers. 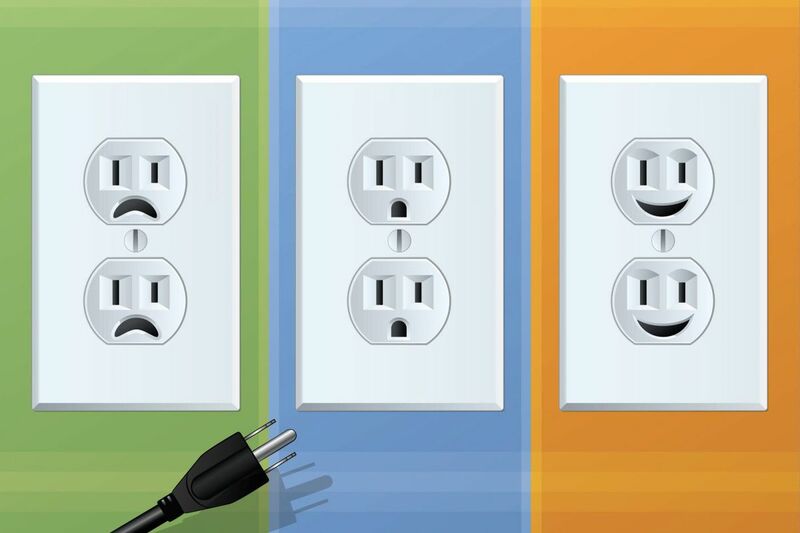 Customers that don't shop get the "default rate," or price-to-compare, offered by the electric company.